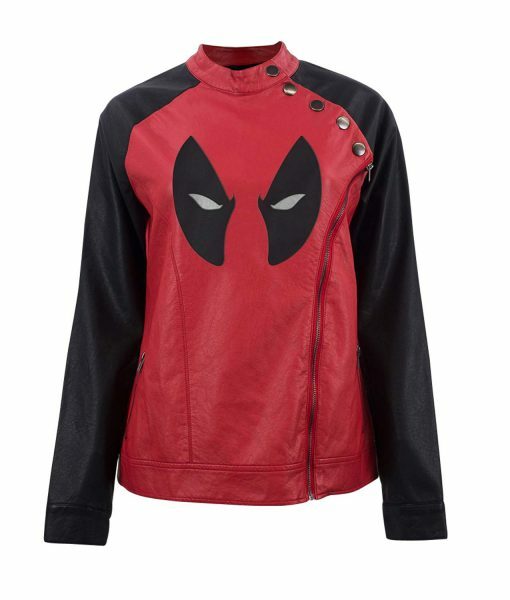 If you want to take on the exquisite gimmick of profound bold heroes, then this Deadpool Eye Logo Jacket is all what you need to attire for getting entrancing riveting looks. It is perfectly manufactured for those styling aficionados who likes to wear on solid outfits for emulating cognate outlooks. Made from the genuine leather material, the outwear is internally embroidered from the fine viscose lining for having supple warm feeling, and has been fashioned with the unique round neck collar for exclusive smart appearance. This Deadpool Womens Jacket has been creatively engrossed with the eye logo on the chest which makes the garb look highly voguish among the other apparels. It has elusively tailored asymmetrical zipper closure on its front, and also has been styled with the buttoned studs at left shoulders for imitating profound bold looks. 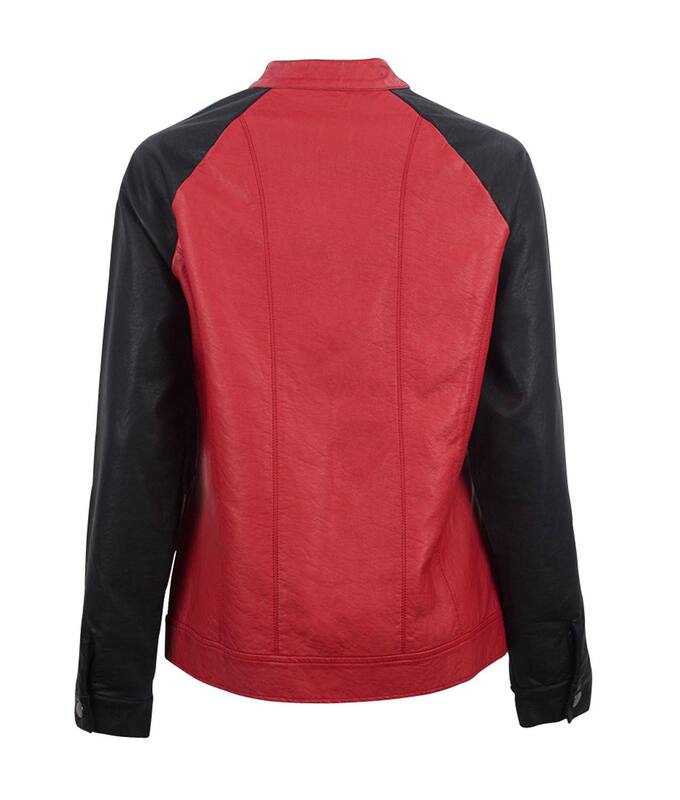 It is available in red and black color with premium stitching formation.